I like to talk to people. I like to talk to people about the things that you are not supposed to talk about like politics and religion. Why are we not supposed to talk about these things? We have this kind of bizarre idea that we don’t want to maybe create division with our friends over things that people have strong feelings about. For example, I might have a friend who is the most liberal person ever, and I am quite conservative. I might have a friend who is Buddhist, and I am a Christian. Because we have these deeply held beliefs that are different, we kind of think that if we start talking about them, somehow our friendship is going to go down the tubes. That can happen. I do know people who have had very bitter disputes over these controversial topics sad to say. I have not really had any personally, but it can happen without a doubt. The question then becomes what should be our fundamental pursuit. I want friends. You want friends. We all want to get along with people around us, but at the same time, we are committed to what we believe is right. After all, that’s why we have beliefs in the first place. I am a Christian because I believe that Christianity is true. You might be an atheist because you find no evidence for the supernatural. You believe you are right in holding that position. If we didn’t have this desire to pursue truth, then I don’t know that any of us would have any beliefs. Why would we bother have a them if we didn’t actually believe them or lay any claim to them? It is a balancing act between wanting to preserve these friendships and wanting to pursue that which is true. Honestly, I think that we want both to happen. At least for me, I don’t want to unnecessarily harm my friendship with them, but I want them to believe what is true. I desired to know what is true, and I think it is good for everyone to know that which is true. If they hold a wrong belief, I think it is good to help them see the error of their ways. If I knew someone who believed in the flat earth theory, I think it would be good if they actually believed in the reality of a round earth. I think it is objectively better for them to have accurate information than to be wrong. In fact, I think that a lot of the reason why many of us want to have these difficult conversations even though we get a little bit worried about the consequences of having them. We have a desire to want people to believe that which is true. That is natural, I think. Again, if this desire wasn’t there, we wouldn’t bother trying to tell other people why it is better for them to be right. We would just let them run around in their ignorance and not care. I suggested at the beginning of this article that it is a bizarre idea to think that we should not talk about controversial things. I hope you can kind of see why I think this is a little bit bizarre. Avoiding having these conversations only satisfies one half of the equation. Obviously it preserves friendships because we don’t bring up the things that threaten to break those friendships apart. We avoid the touchy subjects that nobody wants to talk about. That said, we are intentionally silencing our desire to pursue truth and embrace right beliefs. You see, I think we ideally want both. We want to help people learn the truth, and we want to preserve our friendship. Therefore, I think our plan to avoid these topics completely is actually far less than ideal. We need to figure out a better way forward. We need a plan about how to have discussions about difficult topics while simultaneously not destroying our friendships altogether. The first guideline I would suggest, and this is hard to do especially in our era of identity politics, is to agree ahead of time that discussions about ideas are not intentionally personal. Some of them may become personal, but they are not intended in that way. Yes, I oppose abortion and believe it is wrong. No, I do not hate every woman who has ever had an abortion. In fact, I love them as my neighbor because I am called to love my neighbor just like I love myself. When we talk about issues, we are not intentionally targeting each other, and we are not intentionally hating each other most of the time. There are some people who enter into conversation with bad intentions. I get that, and they are the exception to the rules I am outlining here. However, that said, I think that the first rule of thumb for talking about difficult subjects while not destroying friendships is realizing that we are not trying to hurt each other when we talk about ideas. In fact, we are trying to help each other towards truth. 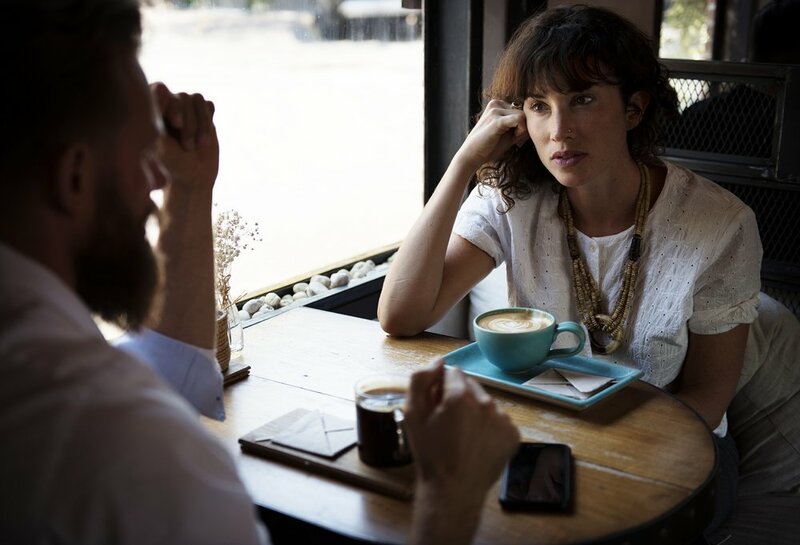 Second, I think what we need to do to have these conversations effectively is to try to interpret whatever our discussion partner says in the best possible way. It may be the case that we ultimately end up disagreeing, but if I am talking to someone who says something that seems a little bit off base but there is some ambiguity, I should not automatically jump to threat level midnight. Instead, I should most likely be asking clarifying questions in a charitable way. I can actually encourage dialogue by asking the other person to explain his or her position. Again though, this is not to set up a gotcha moment necessarily. Rather, it should be done in a spirit of actually trying to understand where that person is coming from. We have a tendency to assume the worst, so if we start by assuming the best and trying to understand before we blow up, that will probably help these discussions proceed more effectively. Following that, I think we need to realize that sometimes we are not going to agree. Even with all the best intentions and our best efforts to talk about certain topics, we may not convince each other to see something our way. Particularly when we are dealing with something that is deeply personal like politics or religion, change very rarely happens instantaneously. Even if something seems so obvious to me, it doesn’t mean that the person I am talking to is automatically going to change his or her life. It is possible, but we certainly should not expect that to happen every single time. Therefore, we have a choice to make, and I suppose that is where I should leave this discussion for today. There are two options. We can give up. We can just say that because a particular person did not automatically transition to my position, the whole thing just has to be thrown out. We can’t be friends, we can’t talk and there is no purpose to anything that we do together. As you can tell, I don’t think that is the right approach. The other alternative is far superior. We continue pursuing truth. We continue talking. Even if I am absolutely convinced that I am in the right position, I can continue having these discussions, listening to the other person. If I am right, then there is no threat to my position, and I have the opportunity to continue sharing the truth with someone else. In fact, if I am right, then listening to other people try to bring down what I believe should in fact make my belief stronger and better prepare me to defend it responsibly in the future. If I am mistaken, then these discussions benefit me as well. It might help me find truth in an area where I was wrong. That is also a good outcome. Don’t avoid talking about the tough stuff.